We bring wellness to your workplace and champion the belief health comes from within! 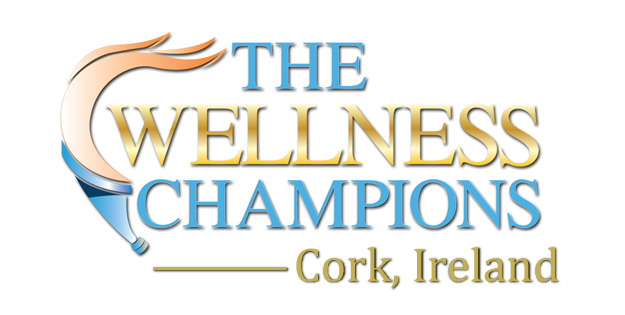 The Wellness Champions are a group of doctors and health practitioners that are committed to teaching wellness in the workplace. After some extensive training, our clinic director Dr Nichola Dunne is now serving Cork City and County! The Wellness Champions educational format varies based on your company's personal needs. The events will stimulate, educate and create a healthier company, which in turn will provide more productivity. Your employees will be given the tools to not only take responsibility for their health but also create victories in their pursuit of a better life. Our 'Lunch & Learns' are a great way for you to show your employees that you care. A 20-minute health talk on a topic of your choosing with our Wellness Champion. These complimentary health talks will stimulate, educate and create a healthier company and healthy workforce, which in turn will provide more productivity. One of our certified Wellness experts will teach one of our many topics, based on a selection of your choosing. As an added bonus, the meal is provided at no charge! Topics include Stress Reduction; Boosting Your Immune System; Increasing Your Energy; Posture Health, and many others (depending on the needs and interests of your employees). To book a Lunch & Learn session for your company/office or to ask any questions, please contact us by sending an email to douglaswellnesschampions@gmail.com, call 083 0699041, or simply fill out the form below and we will get in touch with you shortly. We would love to hear from you!